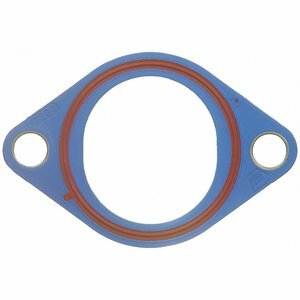 Plastic molded rubber outlet gasket features rigid compositire carrier construction and silicone sealing beads. Rigid carrier prevents overtorquing while the molded rubber assures a secure seal. Show car appearance and great for on and off usage.